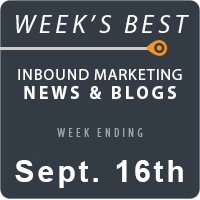 This week’s roundup, includes tips to attract customers using behavioral Email Marketing, enhance your Organic SEO efforts, and expand your Social Media presence using strategic design. Learn how to improve your Content Marketing skills, and create an effective Local SEO strategy for multi location businesses. We’ve covered all of this news and, much more, below! 25 e-commerce blogs that will get you started will get you started with the information and tools you need for maximum impact. Why a content centered mobile app experience matters. Use your video analytics to decipher the type of content that your audience loves. Maggie Black discusses how quality Content can be repurposed to reach your SEO audience and get you to the first page of Google. Charles Musselwhite highlights the importance of having a well defined Content Marketing strategy for your business. 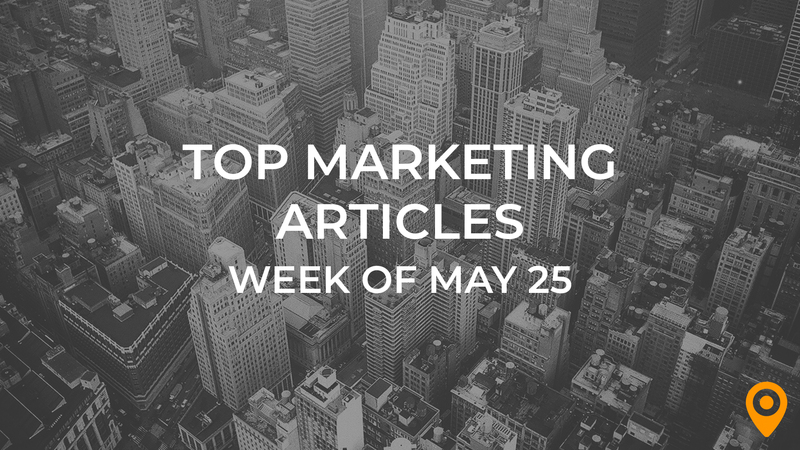 Stephen Altrogge’s blog lists the steps to create an effective Content Marketing campaign. Onimod Global’s blog offers guidance to enhance your Content Marketing skills. Gabriel Shaoolian offers valuable UX tips to help marketers increase Conversions and their revenue. Learn how tactics such as testing the alignment, using white space and grouping by color can improve Conversions of your landing pages, from Tina Arnoldi’s blog. Krishna Shastry offers guidance to help marketers receive substantial Conversions from newsletter landing pages. Follow the valuable tips from Katie Liesmann to implement CRM successfully. Learn how to attract customers using behavioral Email Marketing, from Jaity Pandey’s blog. Scott Cohen highlights the importance of establishing benchmarks for your Email Marketing campaigns to improve performance. Steven MacDonald’s blog presents helpful ideas to improve your Email click through rates. Sudipto Ghosh discusses the importance of Google Analytics, video based Emails and location based campaigns to enhance the performance of your Email Marketing campaigns. Dave Sutton draws attention to Email Marketing tactics that can make customers to engage, buy and stay with your business. Charlotte Tomlinson accentuates the need for marketers to enhance their Mobile SEO efforts in the year 2018. Diona Kidd offers guidance to create an effective Local SEO strategy for multi location businesses. Follow the tips from Samir Mohandes to enhance your SEO efforts. Brennen Bliss discusses how the use of call tracking can enhance the performance of your SEO campaigns. David’s blog provides a basic overview of SEO and offers guidance to help marketers gain an edge over the competition. Jen Saunders highlights the significance of optimizing SEO campaigns for the RankBrain algorithm and making use of an effective SEO strategy. Gaurav Sharma highlights the importance of Social Media for local businesses. Learn how to convert more Social Media visitors using a sales funnel, from Mitt Ray’s blog. Tori Buckley offers guidance to expand your Social Media presence using strategic design. Learn how to incorporate Guerrilla Usability Testing in your UX project, from Emily Grace Adiseshiah’s blog. Puneetsharma offers design tips to make your website aesthetically pleasing, engaging and easy to navigate. Armen Ghazaryan discusses how marketers can achieve their business goals by redesigning their websites.